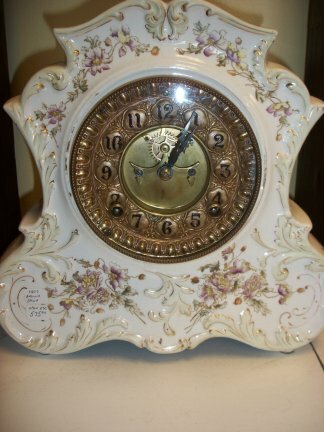 This is a china clock that was made by the Ansonia Clock company It has an 8 day pendulum movement with time and strike. 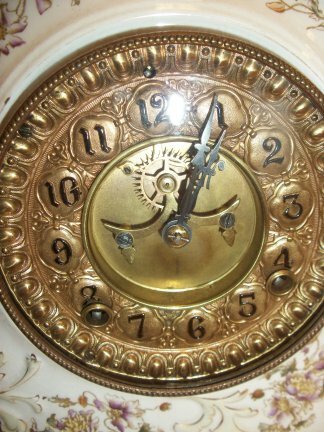 Close up view of face showing the open escapement and the embossed face. 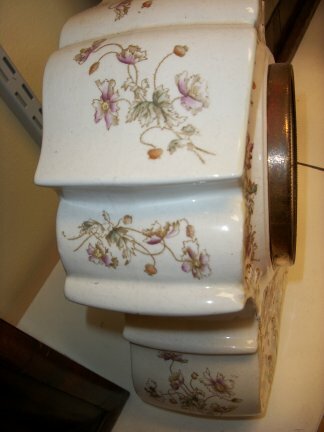 Side top view of clock.